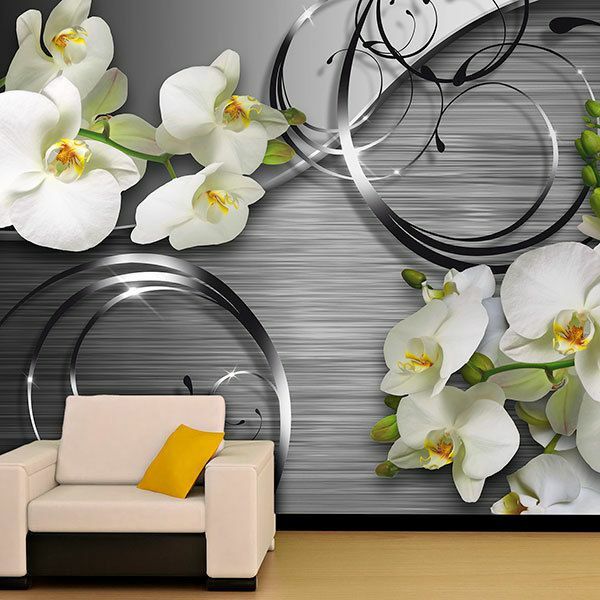 Wall mural Orchids on metal. 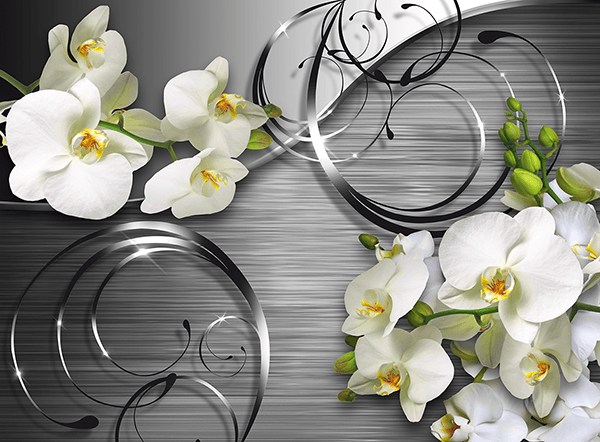 Assembly of two leafy branches of white orchids on a metal texture and various silver ornaments. 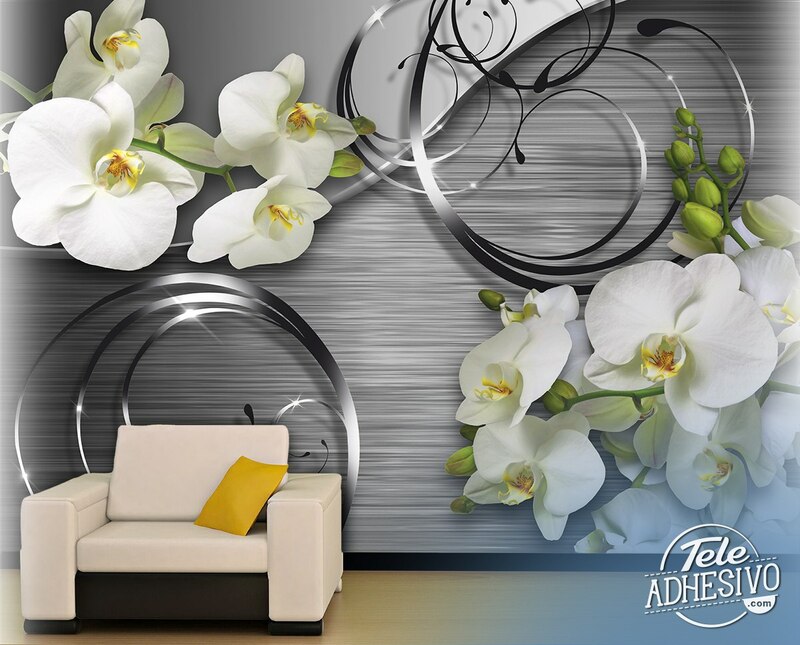 Combination of contrasts of a natural element such as sweet orchid with the hardness and firmness of metal, with curved forms and spirals. Size: 37 x 28 cm.